Invisalign uses a series of invisible, removable and comfortable aligners to create your perfect smile. Each is custom-made with Invisalign’s 3D computer imaging technology, SmartForce®, and their unique SmartTrack® material. The technique has been proven highly effective in gently delivering straight, healthy smiles. Our Specialist Orthodontists are Certified Elite Preferred Providers for Invisalign and registered with Invisalign Australia. The aligners are invisible so if you’re self-conscious about requiring orthodontic treatment, Invisalign may be perfect for you. The plates are removable, so you can eat and drink what you want while in treatment. You can also remove them to play sports; great for active patients. Brushing and flossing are no problem once you’ve removed your aligners, so it’s easy to maintain good oral hygiene practices. They are comfortable thanks to the innovative SmartForce® technology we use to create smooth, flawless aligners. There’s no need to sit for a long time with uncomfortable and bad-tasting moulds in your mouth thanks to SmartTrack®, the material from which your custom-made aligners are crafted. No metal and wires means you spend less time in your orthodontist’s office getting adjustments. We predict you’ll only have to come to iSmile every six to eight weeks. Each 3D treatment plan is customised to your teeth using Invisalign’s advanced software. This allows you to view your own virtual treatment plan, so you can see how your teeth will move over time to create your perfect smile. If you lose or break an appliance, a new one can be made quickly and easily using SmartForce®, so your treatment doesn’t get delayed. You wear each set of aligners for about 2 weeks, removing them only to eat, drink, brush and floss. As you replace each aligner with the next in the series, your teeth will move, little by little, week by week, until they have straightened to the final position your orthodontist has prescribed. You’ll visit your specialist about once every 6 to 8 weeks to ensure your treatment is progressing as planned. Total treatment time is usually between 9 and 15 months and the average number of aligners worn during treatment is between 18 and 30, but these numbers will vary from case to case. Invisalign Lite is an express treatment service available for patients who have an important event coming up and need faster results! The process of being fitted for Invisalign is now quicker and easier than ever before. Using 3D scanners, your orthodontist will gather images of your teeth. These graphics will then be used to create a treatment plan. Invisalign’s SmartForce® technology develops a series of customised aligners which will combine to move your teeth into their desired positions. Each aligner is custom-made and crafted out of Invisalign’s own material SmartTrack®. 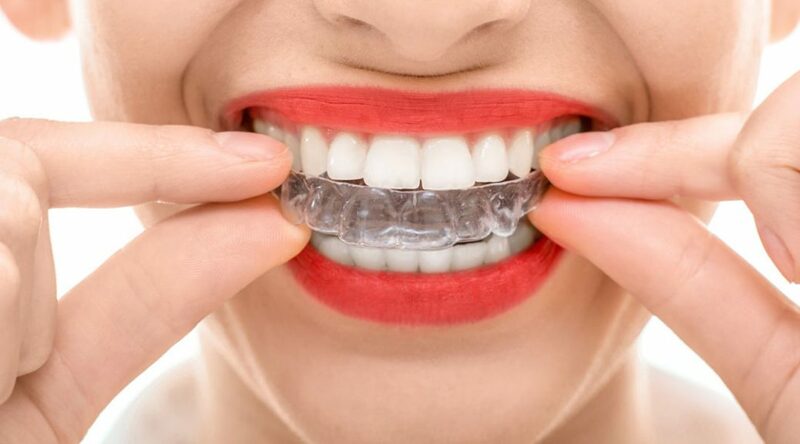 Smoother, more comfortable and better fitting than any other aligner available on the market, Invisalign is a firm favourite amongst patients and orthodontists. One of Invisalign’s biggest selling points is the fact that you can remove them. However, on occasion, aligners get lost or damaged when they are placed carelessly on napkins or dropped on the floor. When you choose to undergo Invisalign treatment with iSmile, we’ll replace any broken or lost aligners free of charge. Thanks to our 3D technology, a new aligner can be made quickly and easily so your treatment progress isn’t disrupted and you can be quickly back on SmartTrack® and heading towards your perfect smile.